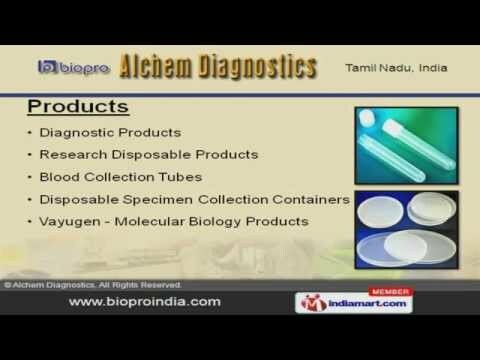 Welcome to Alchem Diagnostics, Manufacturer and Exporter of Medical Products. The company was established in the year 1996. Strong association with C and F agents make us unique in the industry. Rich industry experience, Wide distribution network and Cost effectiveness help us to attain an enviable position in the industry. We offer a wide assortment of Blood Collection Tubes, Research Disposable and Diagnostic Products. Diagnostic Products offered by us are well known for their impeccable performance. We are a leading firm engaged in offering Research Disposable Products. We also provide Blood Collection Tubes that are best in the industry amongst others. Our Biopro Diagnostic Products are a class apart. Our Disposable Specimen Collection Containers are setting a benchmark in the market.